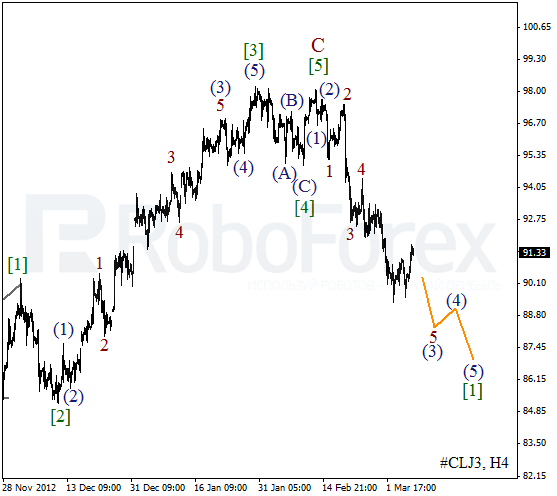 The Index formed divergent horizontal triangle inside wave  and then started moving upwards. 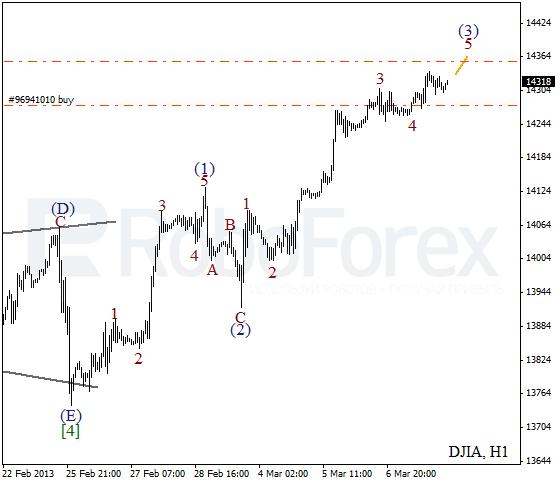 At the moment the market is forming wave , which is far from completion. We can’t exclude a possibility that during Friday the bulls may reach a new historic maximum again. 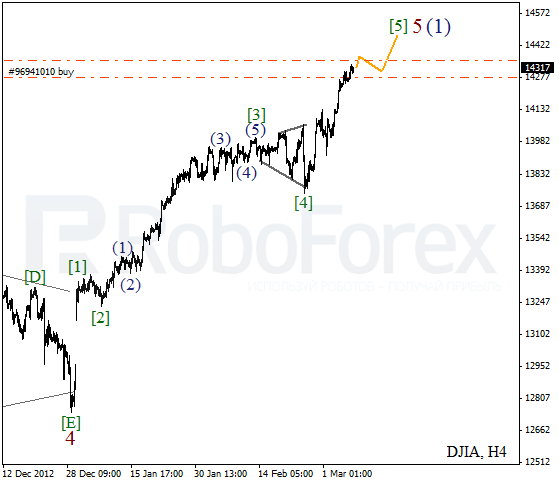 As we can see at the H1 chart, the instrument is finishing wave 3. On the minor wave level the market is forming the fifth wave. In order to decrease the risk I’ve moved the stop on my buy order into the black. Despite yesterday’s ascending movement, we may assume that Oil is still expanding wave (3) with the fifth wave inside it. In the near term, the price is expected to start moving downwards again. 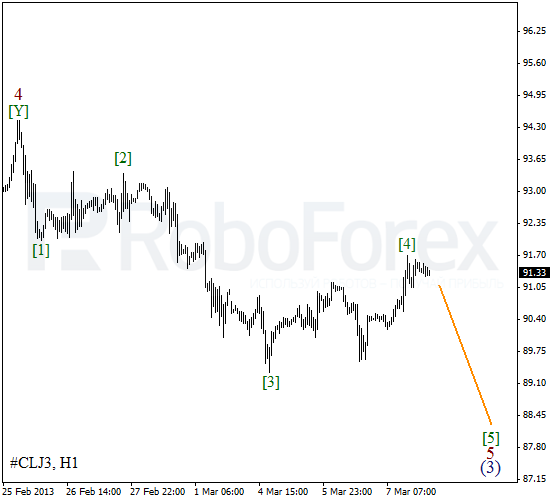 At the H1 chart the instrument is forming the fourth wave. The internal structure of the correction implies that it may have already been completed. Hence, the price may break a local minimum during the next several days.